If you’re a guy who’s into clean cut haircuts that are quick and easy to style, a high and tight haircut might be right for you. 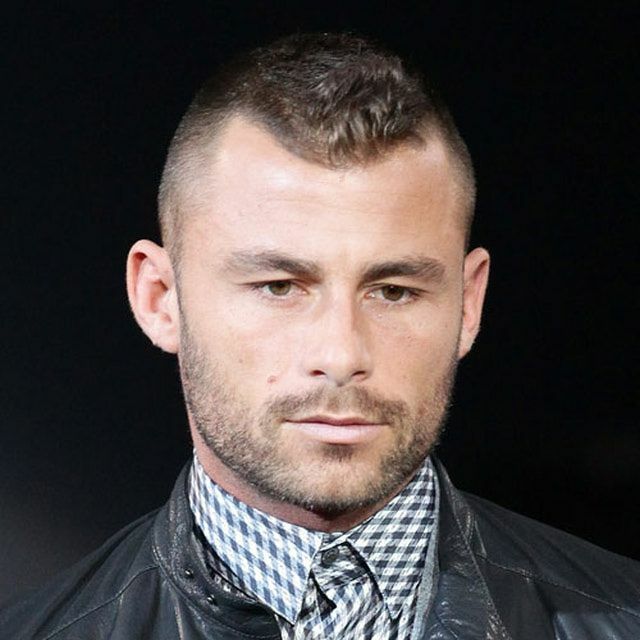 You’ve probably already worn some version of a high and tight haircut. 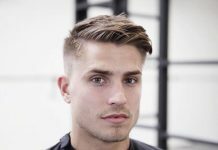 With most of the hair on the sides and back of the head cut super short, it’s a popular haircut that makes getting ready in the morning a breeze, and will have you looking presentable no matter what the day has in store. 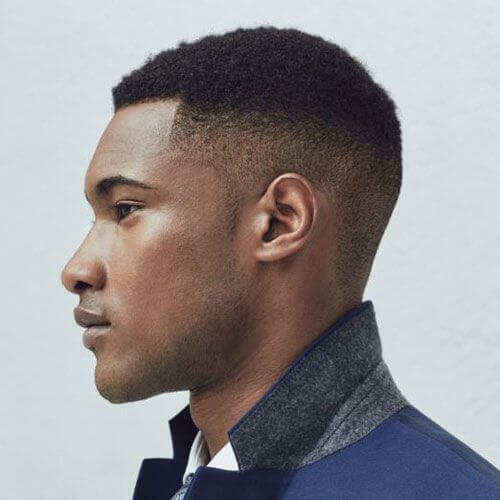 To get an idea of how versatile this cut can be, take a look at 30 of our top high and tight haircuts for men. This classic, clean cut is the perfect blend of high and tight sides with a crew cut top. Long enough to be styled but short enough to not take up too much time, this is an ideal cut whether your line of work requires extra short hair, or it’s just your style preference. 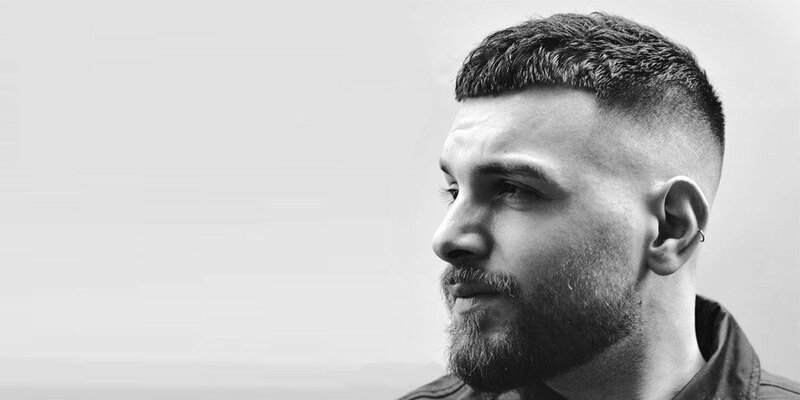 The subtle fringe detail in this style is a great example of how an ultra short cut can still be interesting and stylish, and combining it with a finely groomed beard is another excellent way to show off your personal style. 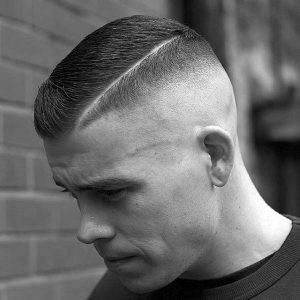 Named after its popularity among military members on reconnaissance missions, this high and tight style is shaved to a uniform length on the sides of the head and from the crown of the head backwards. 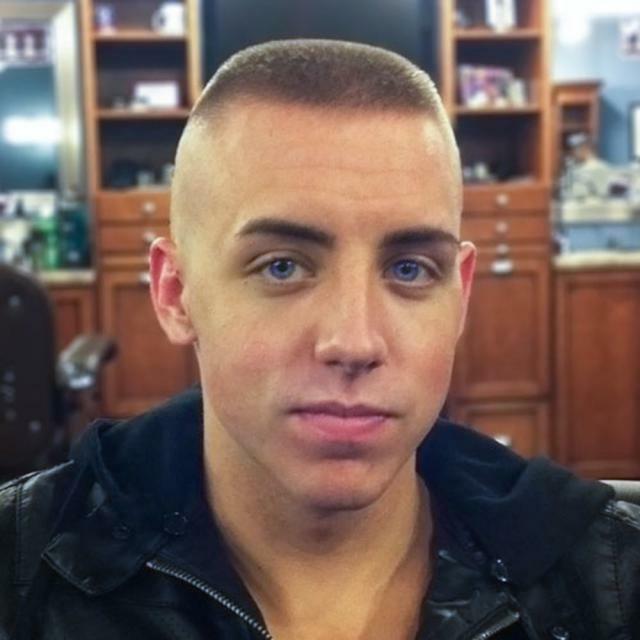 If you’re not in the military, this style can come across as quite edgy in addition to being easy to style. 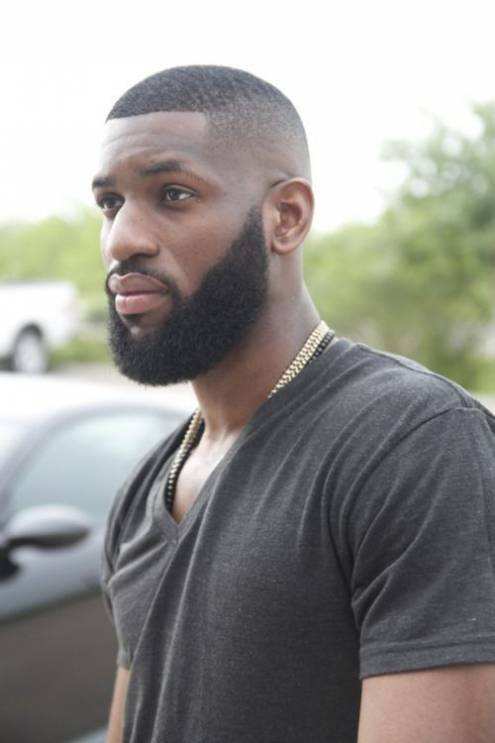 A full beard provides the perfect offset to a smoothly faded high and tight haircut, and helps to distinguish your personal civilian style from the traditional military haircut. 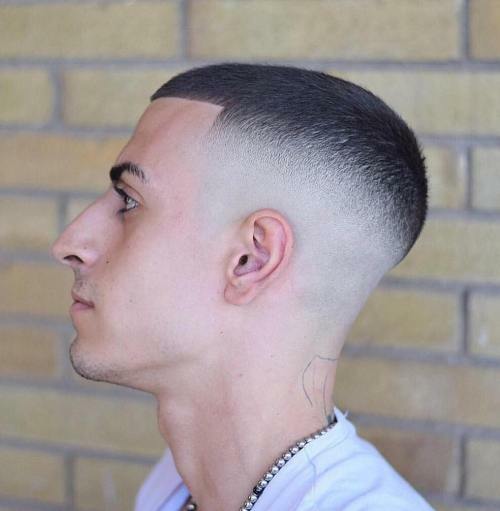 A real work of barbering art, the fade on this high and tight style is gradual, so that there’s no obvious line where hair becomes much shorter. 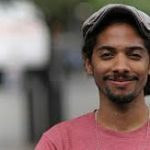 Longer hair on top actually lets you go for a side combed styling on this high and tight haircut, but hair is still short enough that you won’t need to use a blowdryer to make your side combed style look perfect. Depending on you hair’s texture, a small amount of pomade or styling cream should help you recreate this look. 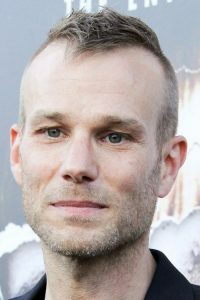 An excellent trick for any guy working with a receding hairline is to leave hair slightly longer and textured right at the front of the hairline. 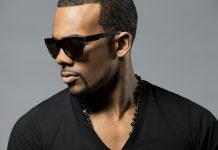 This gives you some hair to style without looking like you’re attempting to disguise your hairline. 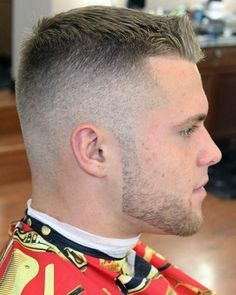 This high and tight haircut actually features a lower fade than some of the military examples, but it’s still quite a high fade compared to men’s haircuts in general. 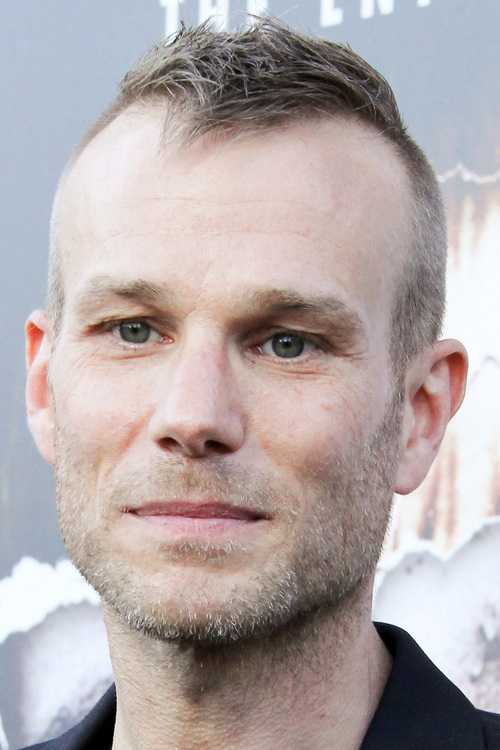 Choose this option if you’re trying to camouflage your head shape or just prefer to have a little bit more hair left on the crown of your head. A straight across fringe is the perfect finishing detail to this style, and shows people that you’re not into home clipper jobs. Leaving hair slightly longer on top than with a standard crew cut allows for styling where hair can be brushed up at the fringe. The end result is still very clean cut looking, but leaves some room for fun if you’re willing to spend a few extra minutes in the morning. 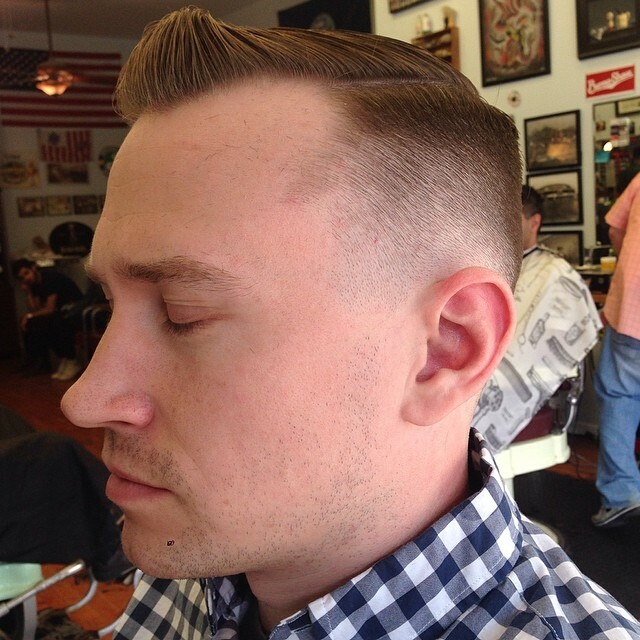 Use a side part and comb over styling to add instant vintage appeal to your high and tight haircut. This no-muss no-fuss style leaves hair a little bit longer at the fringe, but doesn’t cut too dramatic of a line across the forehead. It’s about as basic as a faded haircut can be. 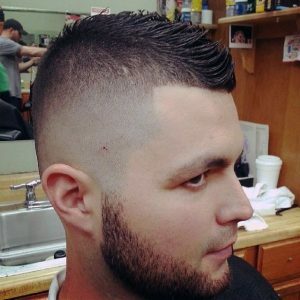 Shaving a semi-permanent part into your high and tight haircut is a perfect way to distinguish your look from the many other men wearing similar styles. This vintage look is returning as a modern trend, but isn’t so popular that it won’t help your haircut stand out in a crowd. 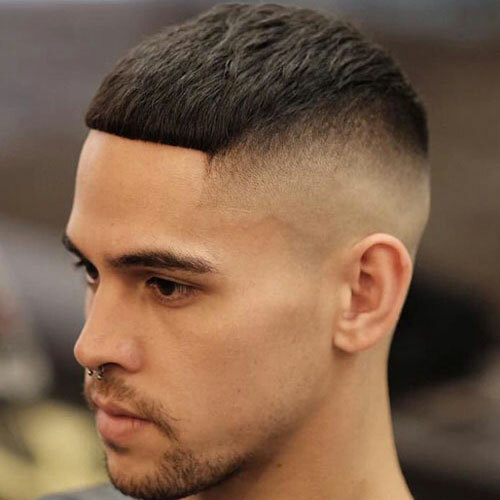 If you’ve got thick hair with a natural wave to it, try out this textured high and tight with longer hair on top that’s cut into a dramatic fringe. Morning styling is as easy as combing hair forward. Use a #1 guard on the back and sides of your head and anywhere from a #3-#5 on top to get this high and tight version of a butch cut at home. 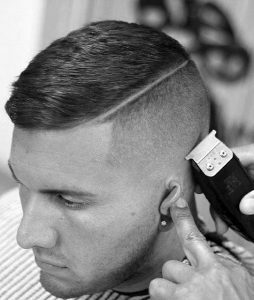 This high and tight haircut leaves more room to play with styling, as hair is left long enough on top to wear in a sculpted comb over style. A water-based pomade will probably help you yield the best results with this style, but guys with finer textured hair should begin with a small amount and add more product if required. 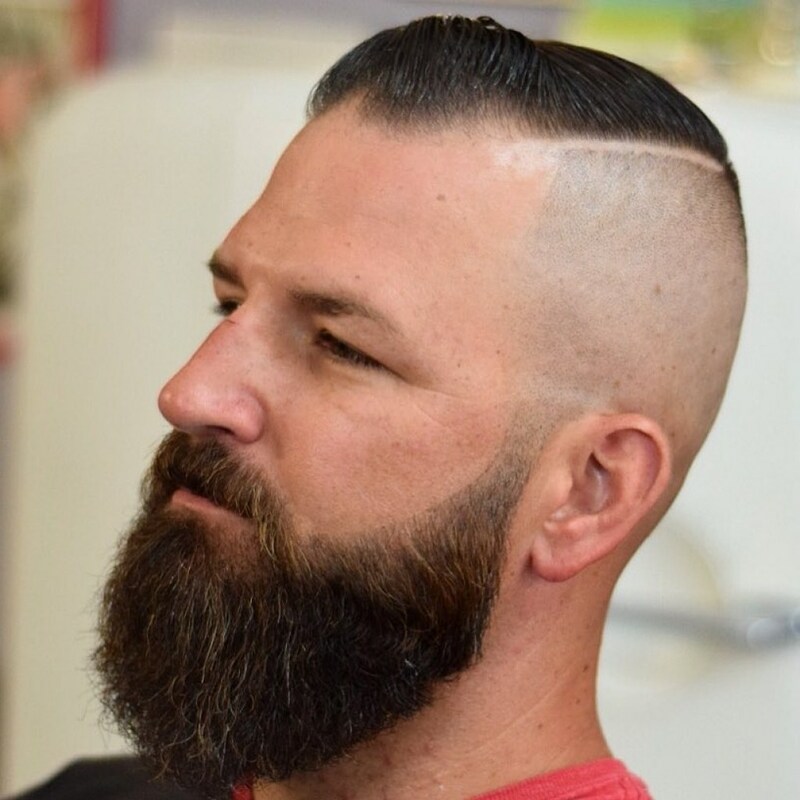 Using the same high and severe borders as a high and tight recon, this cut features hair that’s long enough on top to be combed over to one side instead of straight forward. The end result is a great mix of trendy and classic styles. 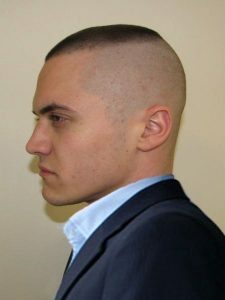 This high and tight haircut is similar to the “recon” variety, but it features a wider section of hair at the back of the head that gives it a V-shaped look. 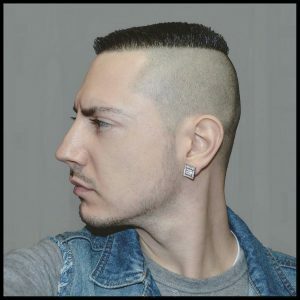 The pictured version has the back and sides shaved at a very close, uniform length, but you could add a slight fade to this style if you’d prefer. 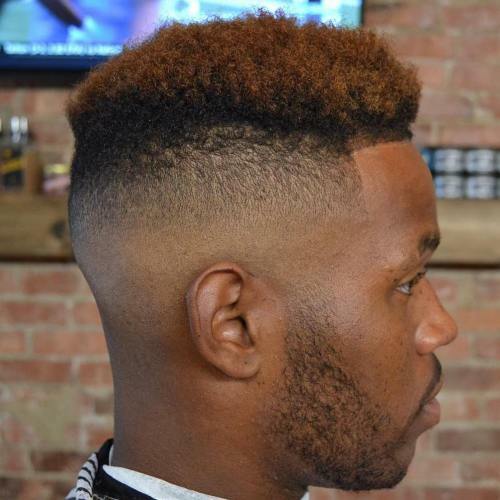 This high and tight haircut falls into the flattop category thanks to its very obvious flat-on-top shape. 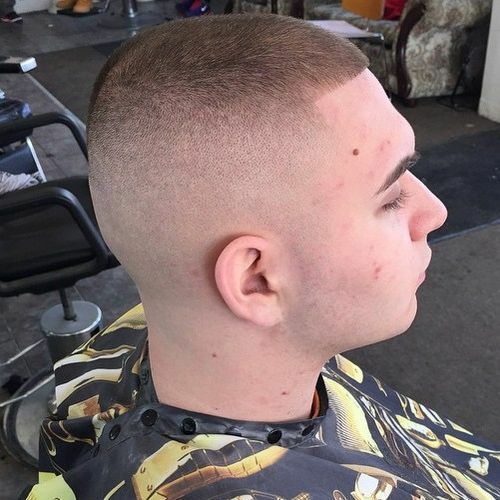 A skilled barber will usually use a comb and clippers to get the flattop shape just right, and the combination of high and tight sides and the flat surface on top make this a very regimented, military look. 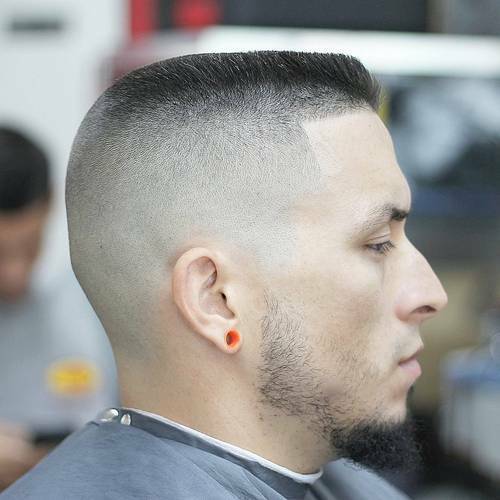 This subtle version of the flattop style takes a less severe approach to the flat shape on top by slightly angling the cut at the sides. 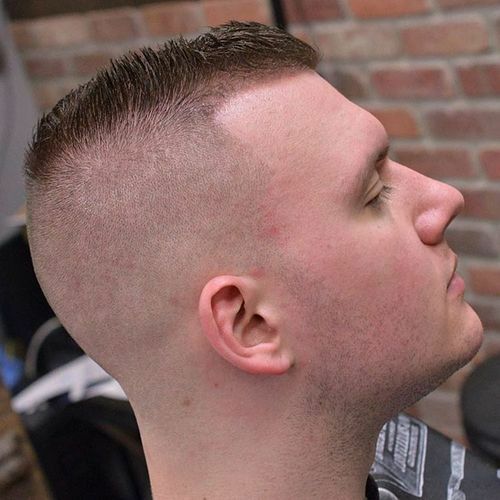 Bringing a little more 21st century trend than some of the more standard styles, this modern high and tight haircut is the perfect mix of structure and style. Leaving hair longer on top allows for some styling choice, while a slim hard part makes for a dapper detail that shows you have an eye for fashion. If a flattop is a little too old school for you, ask your barber to sculpt the top of your natural hair with a slightly rounded shape. 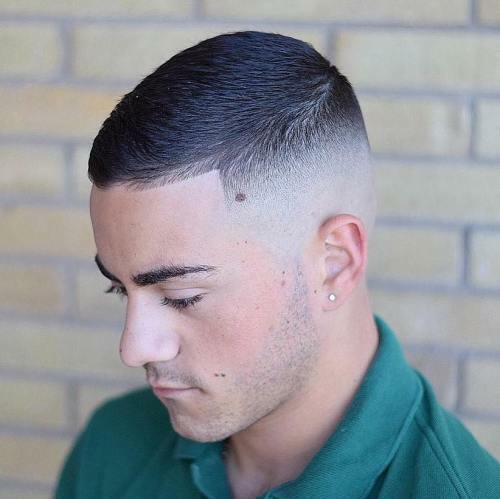 This silhouette helps to nicely balance the regimented look of high and tight sides, meaning you’ll look clean and professional, but not unapproachable. If you’re looking for a little more wiggle room in your styling options, leave the top of your high and tight haircut just long enough to add some spikes to your style. 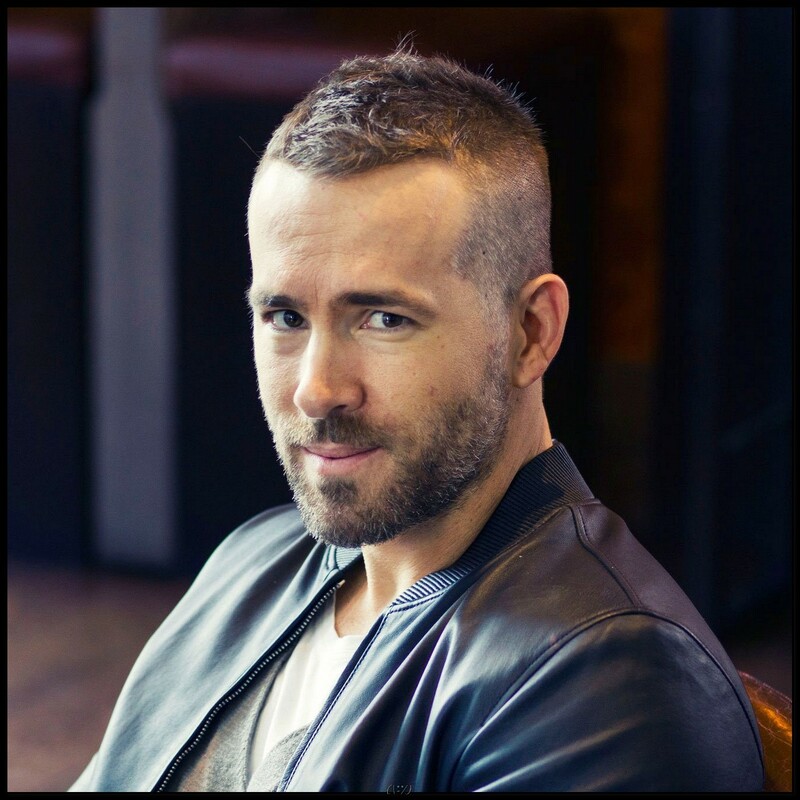 If Ryan Reynolds is doing it, there’s a good chance other guys are about to follow suit. 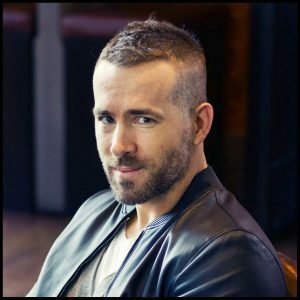 After all, who wouldn’t want to emulate a guy who stars in movies like Deadpool and is lucky enough to call himself Blake Lively’s husband? His version of the high and tight haircut features slightly tousled hair on top, and matched with his scruffy beard it strikes the perfect balance between presentable and rugged. 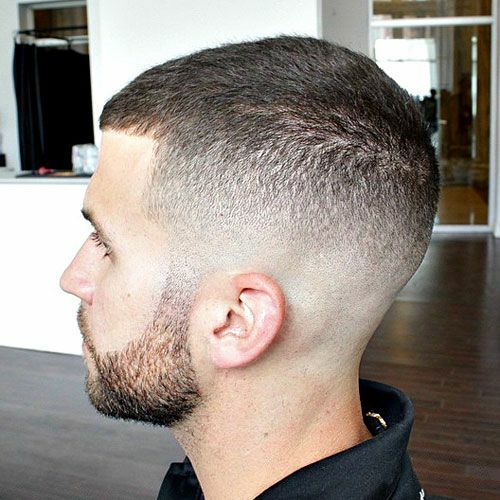 Leaving hair slightly longer where the head naturally begins to curve helps to create the squared off shape of this high and tight haircut. A hard part helps define the area between shaved sides and a longer comb over in this high and tight hair cut. High and tight doesn’t have to equal boring, and this look proves that longer hair on top is perfect for experimenting with different textures and colors. A short and simple style, Jake Gyllenhaal’s military-inspired haircut looks like a burr cut on top (cut using a #1 or #2 guard on the clippers) and gets a high fade to help create a more slim silhouette at the sides of the face. 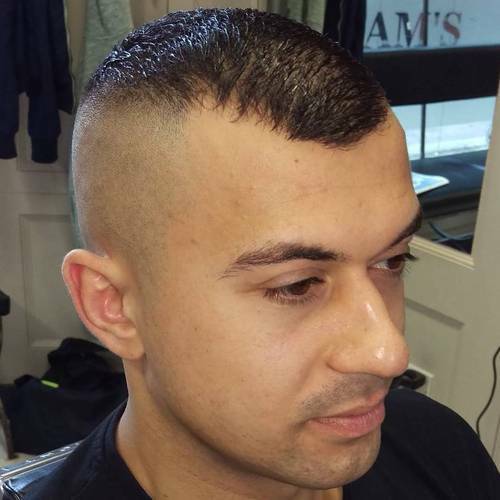 Sharpen up the look of your mohawk with a high and tight fade. 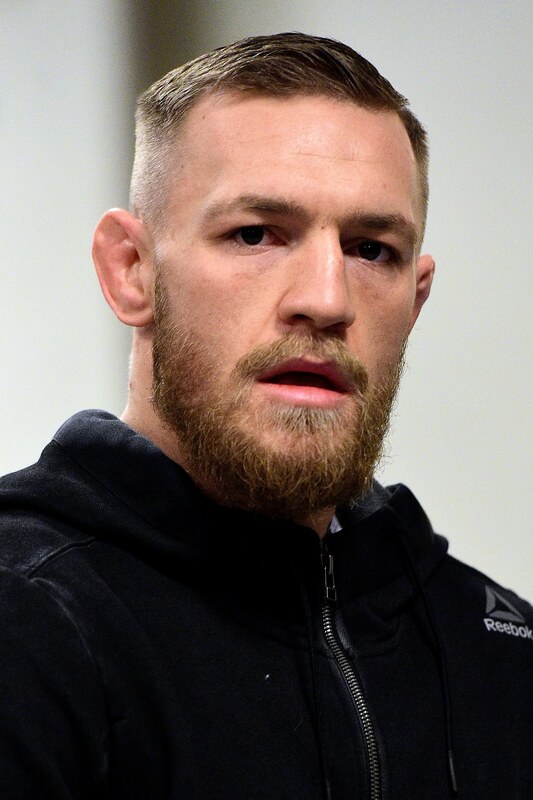 We’re still calling this haircut a faux hawk instead of a straight up mohawk because the faded area connects the longer pieces of hair on top with the shaved portions on the side, and the longer hair doesn’t extend all the way down to the nape of the neck. 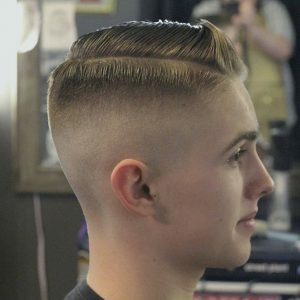 With longer hair on top styled forward into a widow’s peak shape, this high and tight haircut has a little bit of an edgy, vampire-inspired look. 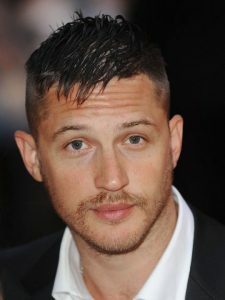 Tom Hardy’s high and tight haircut is long enough on top to have lots of texture when styled forward with a wet-look product. I am a retired barber and a writer, working full time at damanhairstyles.com. In my free time, I do CrossFit and ultramarathons, feel free to contact me if you have any questions about the hairstyles I share here. 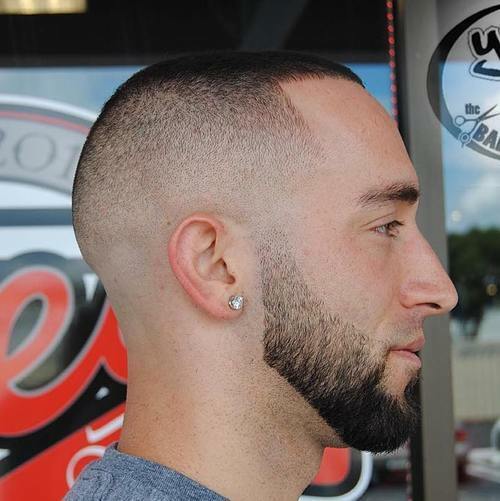 DA'MAN is here to provide haircut inspiration for men from all the walks of life.